My mother Lily danced as an extra with the Ballet Russe when it visited Adelaide in South Australia in 1940. Lily was then 18 years of age and her Ballet Company danced at the Theatre Royal. 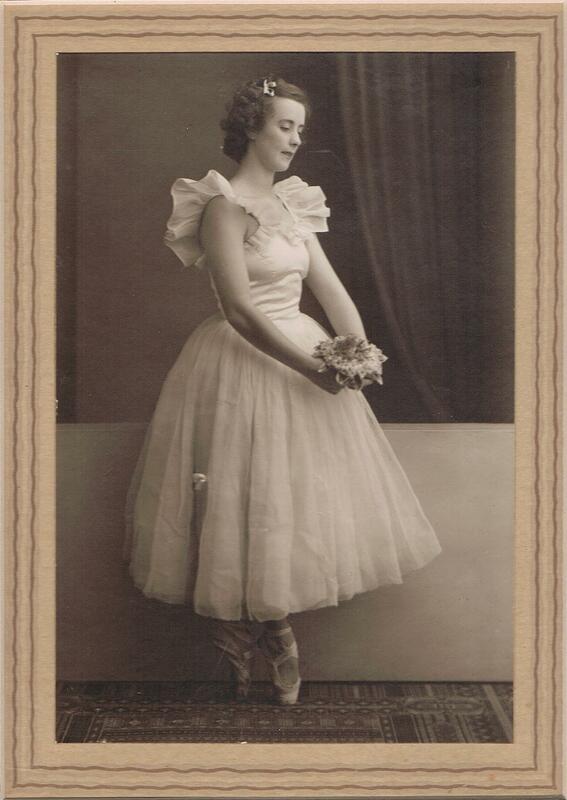 The director of the visiting Ballet Russe requested that my mother join the troupe as it was about to depart to the United States of America as part of its global tour. She declined this offer. Instead, she elected to join the Australian land army [Australia was then at war with Germany] and helped manage a dairy farm near Naracoorte in South Australia. During this period my mother met a farmer’s son on an adjacent farm, and they subsequently married in 1942. You may see from this how destinies in life can take all sorts of unplanned twists and turns. 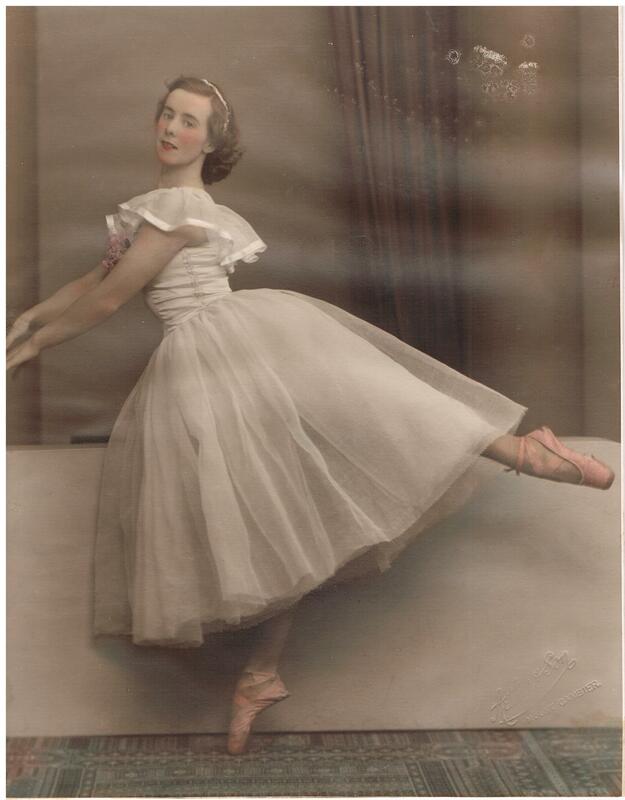 As a child of around eight years of age, I recall regularly playing 78 r.p.m records of ballet music as Lily continued to practice her ballet routines in a remote country farmhouse. The record player was a wind up one and the classical music that I can remember from those times were Tchaikovsky’s Nutcracker Suite and Chopin Les Sylphides. I will now share with you some of the few residual records that exist from around those heady times in Lily’s life and this includes her relationship with the prestigious Ballet Russe. Below is a video of Lily the student and others at Rishikesh in 1969. The quality of the film is not good. it was copied from an original super 8 film. Below is a video of the Beatles at Rishikesh just prior to Lily’s visit. My family was a dysfunctional one. When I was around 12 years of age I met the owner of a Murray river passenger boat whose name was The Merle [Merle]. The owner of this boat was Ro. Ro and my mother were unmarried partners. Merle carried up to 19 fare paying passengers and made one trip per week, over four nights, from Murray Bridge in South Australia to Blanchetown and then returned to Murray Bridge via Lake Alexandrina which includes the township of Goolwa. The intermittent trips that I had on Merle were very happy periods of my life, in between periods of extreme hardship and violence which I was then suffering at a Catholic boarding school situated in Mt. Gambier in South Australia. Ro was a very kind and caring man and my relationship with him became like that of a father and son. During the great Murray river floods of 1956, when I was aged 13 years, the flood greatly interfered with Merle’s weekly trips, and unknown to me, Ro was becoming financially stressed as his regular trips with Merle began to falter. It was during this time that Ro periodically asked me to steer Merle along the river. During such trips, mostly with less than 19 passengers, I played 78 r.p.m. records in order to entertain them. My mother continued with her hostess activities. Ro did most of the cooking (as an interim measure until he could find another suitable cook in lieu of one that had resigned) as well as maintaining necessary functions within the engine room. Merle had twin 6 cylinder Buick engines, and her electrical power system was 110 volts but there was one 240 volts power outlet which was linked to a power converter. The power generator was an English four cylinder Ford Prefect motor. 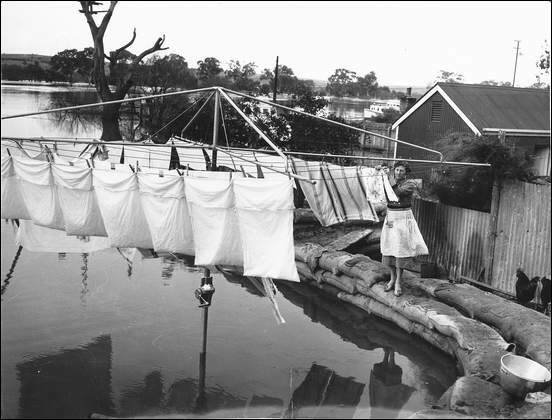 Merle had two bathrooms and two toilets and raw sewerage discharged directly into the river. The six inch jarrah hull of the Merle was built in around 1904 and for a time Merle was a barge. In later times she became a steam powered, rear paddle wheel river trading vessel, like a travelling shop. Merle’s conversion into a passenger vessel was completed in late 1940 and her inaugural trip as a passenger boat took place from Murray Bridge in 1941. As you may gather from these words my experiences with Ro and Merle were not only highly adventurous ones, but also a most happy and relaxed ones as well. My most memorable recollection with Ro and Merle was at the time when we jointly navigated Merle up the flooded main street of Mannum in South Australia. At the time I was 13 years old. Merle was 87 feet long and she had a four foot draft. I steered Merle on that day. She had a large helm [steering wheel] situated in the saloon [lounge] at the front of the boat. Ro employed the twin motors in an expeditious way that helped facilitate Merle successfully to travel up the main street of Mannum. Ro used forward and reverse thrust with each engine in order to help steer Merle whilst I was guiding it with the rudder. There were around one hundred people in the main street who were witnessing these activities. On this particular occasion we turned Merle around in the main street of Mannum, broadside to the sandbags that had been placed across the road. Via an unroped gang plank we then discharged the passengers onto these sandbags so that they could enter the unflooded section of an adjacent hotel. Merle was tethered to the veranda posts of this hotel. I was deeply saddened and depressed when Merle burnt and sank at her moorings in Murray Bridge on March the 1st in 1958. It is against this background that in the year 2000 I wrote an anonymous story that I entitled “Night train to destiny”. What follows is a file containing this story. You will also see a few photographs of Merle that I have retained to this day. The Night train story is not a scholarly document because I wrote it from the heart. I remain deeply saddened by the events at that time and it is possible that I may be suffering with post traumatic stress from that period as well, but this has never been medically determined.